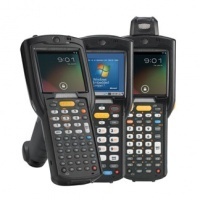 The MC3200, provides you with the systems to efficiently and accurately manager your inventory. Working in real time to provide you an insight to what you have in stock to allow accurate collection. Sale Ends 31/03/2019 or when stock sold! SKU: MC32N0-GL4HAHEIA. Category: Handheld Computers.